London-born Hannah Donovan is the co-founder of Xero customer LVLY, a same-day flower and gift delivery service that will pop up at Cloud St Market this weekend – along with several other local businesses. We grabbed five minutes with Hannah to learn what it is that makes LVLY so special. Where did the idea for LVLY come from? LVLY is a collaboration between my business partner, Verity, and I. 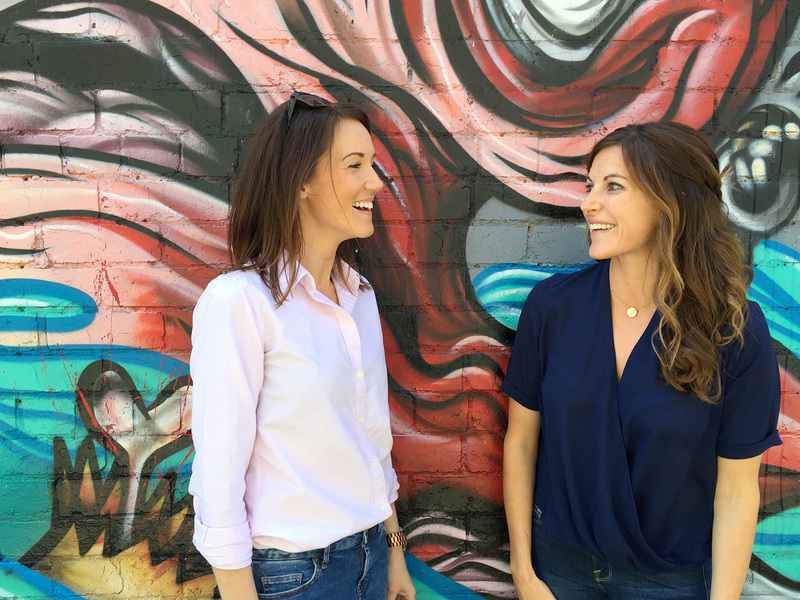 We met when we were working at a Sydney-based advertising agency and soon decided we really wanted to start our own business. Our backgrounds complemented one another perfectly: mine was in strategy and creative work; Verity’s in client services and project management. She and I would both get homesick and miss our friends and family. We’d want to send them something small and thoughtful, but became frustrated that there was no same-day gift delivery service for me in London or for Verity in Melbourne. We used to love scouring the Bondi and Glebe markets over the weekend. There were so many beautiful, local products that would make perfect gifts. It was from this that the idea for LVLY came about: A same-day gifting service, offering a small range of affordable products. We launched in Melbourne just over a year ago! I’m inspired by brands that stand for something different and do some good. The ones that are focused on delighting the customer and understanding their needs. This means finding gaps in the market, or innovative ways of reaching people – and building a business around the customer. Vinomofo is a great example of a brand that’s disrupting the market. Social enterprises like ThankYou are so inspiring too. And Xero, who have made an intuitive product for those with no accounting background whatsoever. I think LVLY falls into this category. It’s a great feeling to know we’re facilitating so many small, thoughtful acts of kindness for all kinds of occasions. What’s more, we’ve created a service and product range that makes both the receiver and sender feel great. What’s it like running an online business? Because we have no bricks and mortar store in which to receive footfall, we need to find other ways to scream and shout about our existence. We need to be creative and trust our social channels, partners and customers to drive the traffic to the site. We also have to handle delivery and logistics ourselves every day, which is a huge challenge – but we’re really invested in making sure it runs smoothly. Will the Cloud St experience be new? We have done one pop up, and we are moving more into the experience space. We’re doing workshops for example, which is a cool way to share our products and our brand. Cloud St will be a great opportunity to meet customers face to face, answer their questions, and see how they react to products. The more we understand them, the more chance we have of being successful. What do you love about Melbourne businesses? People are so passionate, so willing to give it a go and take a risk – it’s inspiring. We’re so excited to meet other small business owners and be inspired by other startups this weekend! Any tips for businesses in the same position? Start as small as you possibly can, strip back your ideas to their absolute core – and get started. Any tips for getting the best out of your flowers and succulents? Change the water your flowers are in every couple of days to make them last as long as possible. Succulents enjoy sunshine – so put them outside once a week for a few hours vitamin D.
Cloud St is a pop up for online stores on Little Collins Street, Melbourne. From Tuesday 8–Sunday 13 December we’ll be featuring products from a range of Xero customers who normally reside in the online space. It’s just in time for Christmas shopping, so check out the website to see the schedule! The post This weekend at Cloud St Market: LVLY (and more!) appeared first on Xero Blog.